My 2nd Indie Designer GAL FO is a pair of Sweet Little Mini Cuffs by SarahJaneDesigns. 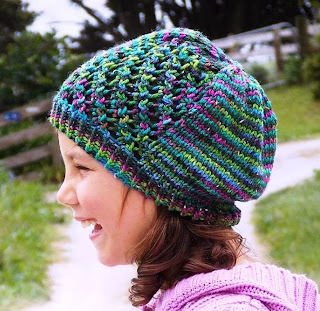 This is a crochet pattern! Part of my ongoing quest to improve my hooking skills has me trying to be a bit braver - branching away from flat granny square type projects and trying some new things. Little they may be but I actually learnt so many new techniques while making these. SarahJane writes a nice clear pattern and best of all includes links to youtube clips showing how to make the various crochet stitches in this pattern...perfect for an adventurous beginner such as myself. If you click through to the original pattern, you will notice my version is missing the laceweight edging. I tried a couple of different laceweights I had on hand but nothing was quite the right colour and I ended up ripping out the lace, working another row in DK to add some height and then calling it good. I think they have a bit more of a modern vibe to them without the lace. Yarn is Tri'Coterie DK Sparkles in Black Pearl. I used a 4mm hook. Wayside is a new pattern release from me. 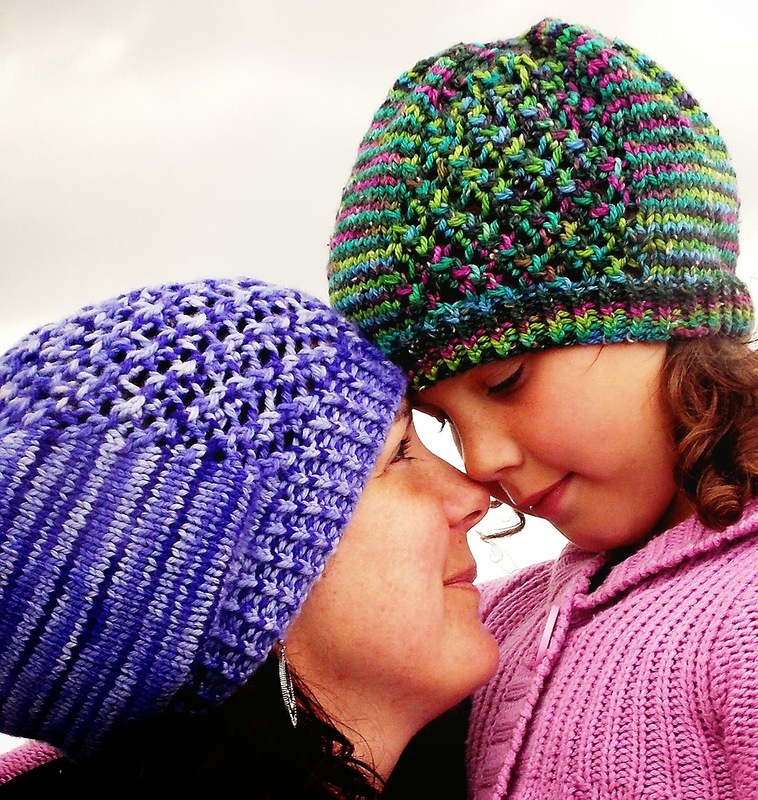 A slouchy Aran weight hat with a feature lace panel. This is the third hat in a collection exploring diagonal stitch patterns (hoping I have got that out of my system now!). This a quick and easy knit, ideal for last minute gift making. I used Tri'Coterie Aran Donegal Nep and Tri'Coterie Aran SWM for these samples and designed the hat to showcase indie and hand dyed yarns. A bit of plain stockinette to show off the colours, and a bit of lace to keep the knitter interested. I can't believe it is November...where has this year gone! If you have been into any shop lately you will have no doubt seen Christmas decorations up already....apparently the silly season is almost upon us. 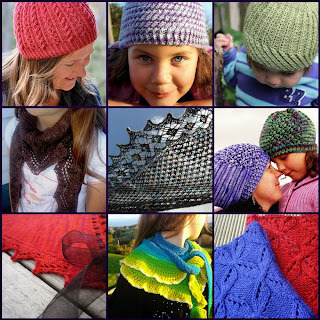 If you have knitting on your gift giving agenda then check out the Indie designer Gift-Along. 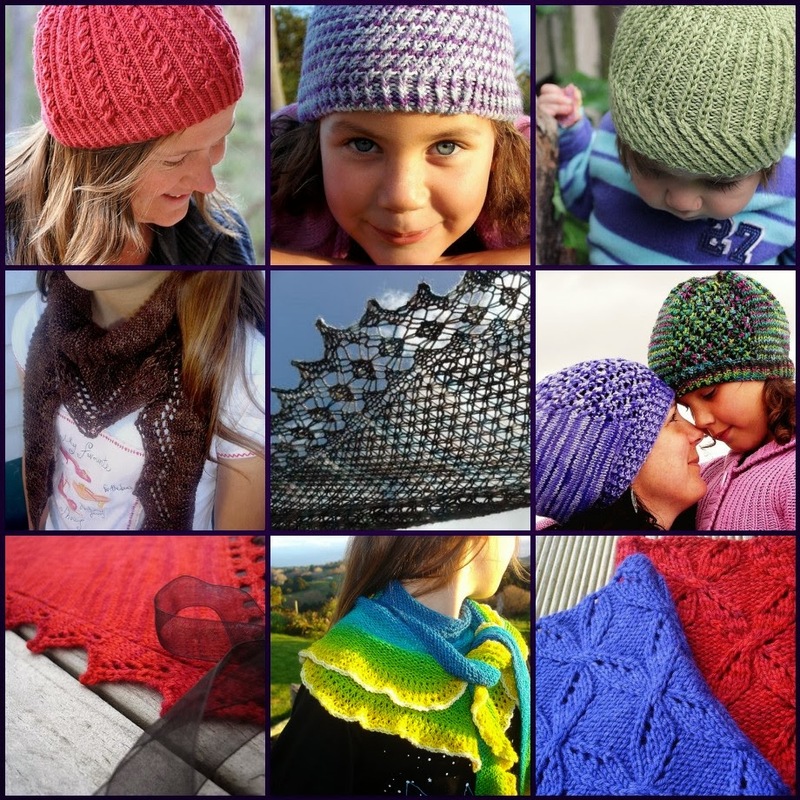 This is a Ravelry event - hundreds of indie designers have banded together for 2 weeks of discounted patterns, and 2 months of KALs/CALs. The KnitAlong will run until the end of the year and there are hundreds of great prizes up for grabs so get involved and share your plans, wips and FOs with the group.